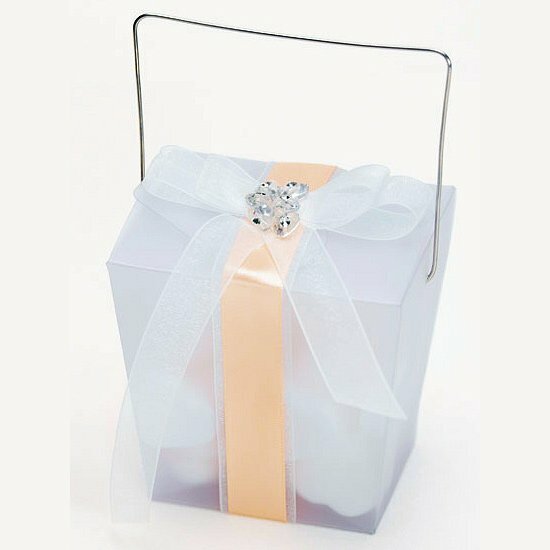 What a fantastic addition to Asian themed weddings or when you just want to add a twist to a classic wedding! 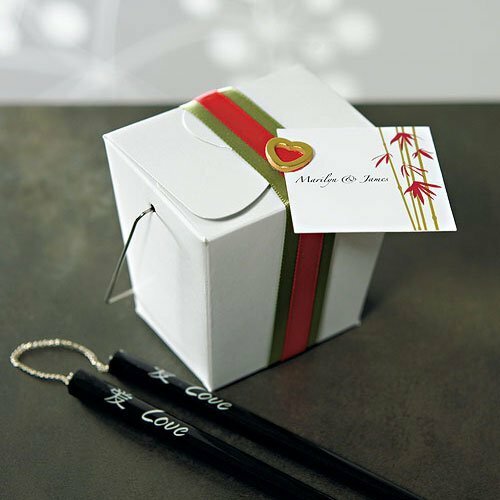 These Asian wedding favor take out boxes have plenty of room to hold little treats for your guests. Dress them up with ribbon and add a personalized hang tag to customize them for guests. 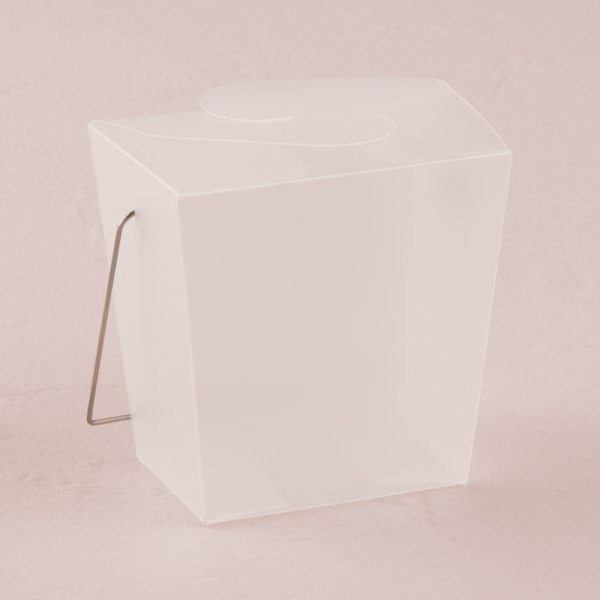 Handled boxes are available in frosted acetate or solid white colors. 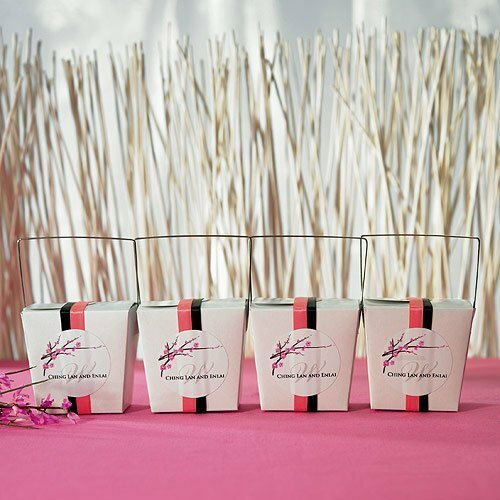 Sold in sets of 6 with a minimum order of 6 sets. 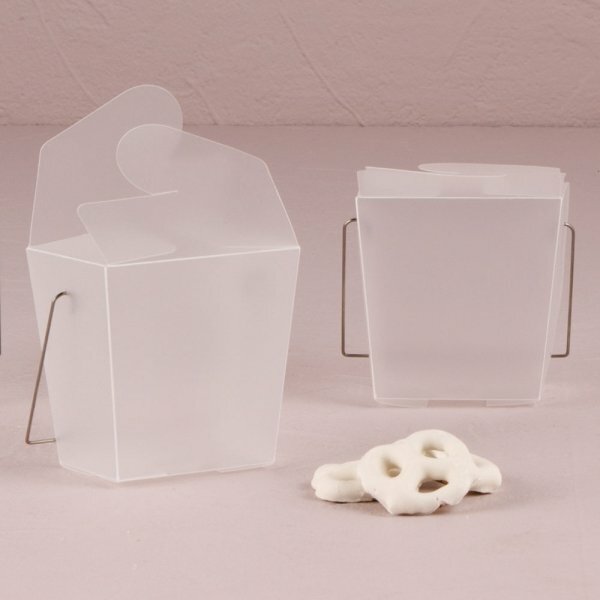 Product dimensions - 3" x 2 3/8" x 3" H.